Ask the man who has completed six farm bill cycles when a new bill will be pushed through and Joe Outlaw will tell you this year. Outlaw, Texas A&M AgriLife Extension Service economist and co-director of the Agricultural and Food Policy Center at Texas A&M University in College Station, told the crowd at the High Plains Dairy Conference that a year ago he would have bet it would be 2019 before producers saw a new farm bill. Squeezing in a farm bill will be difficult, but Outlaw said he believes it will happen because the Bipartisan Budget Act of 2018 fixed cotton and dairy – and that was a big deal. He said the 2014 bill got it wrong when it came to estimating low crop prices and the dairy program. The bill created the Margin Protection Program, or MPP, which triggered assistance at different margin levels based on the all-milk price and a calculated feed cost. But he thinks the developers of the program were too influenced by the margin data from the years just before the 2014 bill was passed. Producers now can select margins between $4 and $8 per hundredweight,he said. The Bipartisan Budget Act reduced premium costs substantially below 5 million pounds of production. So what happened? Outlaw said comparing coverage levels in 2015, there were producers who purchased all kinds of buy-up levels. Last year, almost no one purchased at buy-up levels and everyone was at the $4 minimum. The program was projected to pay out $80 million in insurance in 2016, Outlaw said. Instead, it only paid $10 million. The Bipartisan Budget Act on dairy enacted a monthly margin calculation and allowed producers to insure 5 million pounds at lower rates. 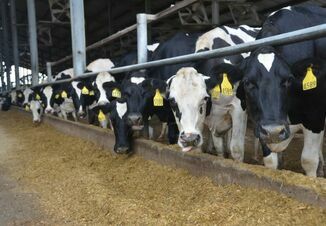 Outlaw said the difference between calculating bi-monthly and monthly payments along with lower premium rates will have even the bigger dairies looking at participating with at least part of their milk because of all the uncertainty. 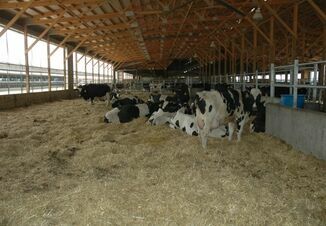 “The dairies in this region traditionally have pretty much taken care of things with marketing and haven’t done much with the dairy program in some time, but that may change,” he said. Under the new program, the monthly MPP margins will provide some opportunities at the $6 level, but there’s a push to move the top level to buy in up to $9.50, Outlaw said. Commodities, conservation, nutrition and crop insurance are where people generally want to take money from, Outlaw said. They won’t touch the nutrition title this year, so an option could be to just extend the current farm bill with the cotton and dairy fixes to prevent anything being added. 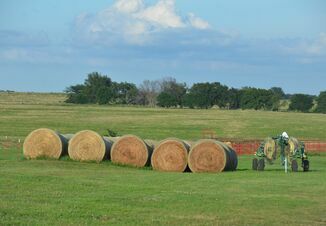 Outlaw said there are enough factors coming into play to keep the farm bill from ever happening. Leaving the farm bill alone might not be good for the corn and soybean programs, which were really good before and paid substantially early. Those producers aren’t expecting to get paid again anytime soon unless there is a new farm bill. He said the other issues that could impact the timing of and/or derail the farm bill this year are immigration reform, welfare reform, infrastructure, trade wars – North American Free Trade Act, China, Trans-Pacific Partnership; and the elections due to a crowded Congressional calendar. “The most likely problem is a trade war,” Outlaw said. “There is no good outcome in messing around with NAFTA in my opinion. These people will take it seriously and they will find other customers. That is not good for the dairy industry and it is not good for a lot of other industries.